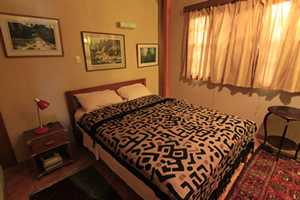 Guests can choose from four self-contained rooms, two with AC and all with Fans. 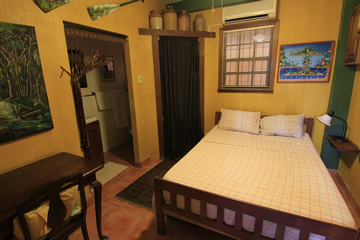 Room rates are competitive; some say "the best combination of price and quality in Georgetown". 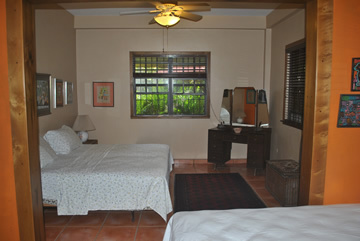 Rainforest B&B rates vary from US$70 for a single room with AC to US$100 for a suite with two beds and triple occupancy (breakfast included). Management reserves the right to adjust rates to meet cost of living increments. Taxes are Limited to a 7% service charge. To help make your stay more comfortable and productive, complementary services include: desk top computer & printer; WIFI laptop connection; full breakfast included with cost of room; low cost international phone calls, free tea and coffee, and help-yourself to cold drinks based on the honor system. We can provide assistance with money exchange, hiring of reliable taxi drivers, restaurant selection and coordination with tour operators. 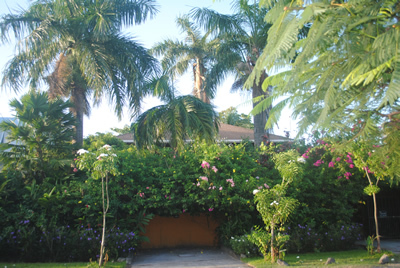 We can also link you up with sellers of art & antiques or provide insights to development work in Guyana’s hinterland.